This morning AIMS on Campus broke new ground by visiting a secondary school. Thanks to our junior fellow Gabriel Duguay, we were hosted at Halifax Grammar School on Tower Road. The assembly was held in the school auditorium and was very well attended. 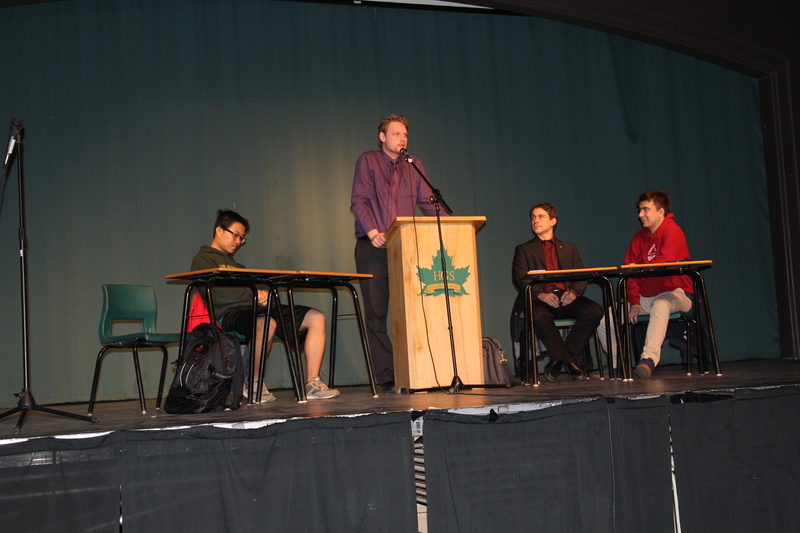 For the event, AIMS on Campus Coordinator Jackson Doughart and AIMS Operations Manager Alex Whalen took part in a formal debate with two students: Gabriel Duguay and Edison Li. They debated the question of the welfare state: does it help or hinder society?